The WSET is an internationally recognized wine education program offering courses and certifications ranging from beginner to expert. This class covers the main types of wine, the most common grape varieties, wine service, storing and serving wine, tasting technique, how to describe the smell and taste of wine, and the basics of pairing food and wine. During the class, students taste eight different wines. At the end of the program, students take a 45-minute, multiple choice exam. Those who pass the exam receive the WSET Level 1 Award in Wines. Click here to download a PDF of the Specification for the WSET Level 1 Award in Wines. Students are involved in weekly assignments. There is a group tasting area, multiple choice practice tests and videos. A WSET Educator guides students through each section. Once students are booked, they can access to the WSET site. After the course date ends, students will still have access for 1 year. After the course date ends, the material becomes read only and students can no longer post in the activities. The Wine & Spirit Trust (WSET) Level 2 Certification Course (formerly the Intermediate course) is suitable for beginners and for those with some experience with wine. This qualification is popular with wine and spirit employees and will give students excellent all-around product knowledge. The course is also suitable for the interested consumer. There is not a prerequisite course requirement. 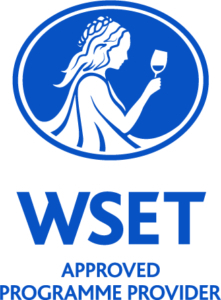 The WSET Level 2 Certification Course is taught over 5 classes, with an exam in week 6. The aim of the course is to focus on the key grape varieties and regions of the world, as well as principal varieties of spirits. While the course provides an overview of the wines and spirits of the world, including main wine grapes and regions, it also covers factors affecting wine quality and style, grape growing, and basic winemaking practices. The course emphasizes tasting assessment and the skills required to describe the aromas and tastes of wine. It helps to develop fundamental tasting and assessment skills. During each session of the class, students taste 8-9 wines. The exam in week 6 takes 1 hour and consists of 50 multiple-choice questions. Those who pass the exam receive the WSET Level 2 Award in Wines and Spirits, an internationally recognized credential in the wine industry. Capital Wine School also offers a Home Study option, as well as an occasional Intensive course, for the WSET Level 2. Click here to download a PDF of the WSET Level 2 Award in Wines and Spirits Specification. For more information about the WSET Level 2 Award in Wines and Spirits, please visit http://www.wsetglobal.com/qualifications/22.asp. The course is based around a 5-week structured online program with a recommendation of 6 hours study per week to cover the online activities and read the relevant chapters in the textbook. Regular access and participation in the course online activities is essential for this mode of study. The course follows a weekly structure, but it allows the student to work ahead or catch up on the activities and forums. There are no set times to log into the course as there are no live chats or webinars. The Capital Wine School will mail students the current WSET study materials for this course one week after they register. The course prepares the student for the exam and they are guided by a WSET educator. The student can contact the educator any time for the duration of the scheduled course, should they have any questions. Each week includes a series of independent and/or group activities to help students understand wine label terminology and recognize the styles produced by the main grape varieties in key wine regions. Students are advised to taste a range of wines during their studies. A list of recommended tasting samples can be found in the specification. Students can post their tasting notes in the Online Classroom for review by the educator. Learn to taste and describe wines using the WSET Systematic Approach to Tasting. Riesling. Other White Grape Varieties: Albariño, Chenin Blanc, Gewurztraminer, Pinot Grigio/Gris, Semillon, Torrontés, Trebbiano, Verdicchio, Viognier. Other White Wines: Muscadet, Soave, Gavi. Learn about the characteristics and the styles of wines produced from the main black grape varieties and the regions producing them. Key black grape varieties: Cabernet Sauvignon, Grenache, Merlot, Pinot Noir, Shiraz. Other black grape varieties: Aglianico, Barbera, Carmenère, Gamay, Malbec, Montepulciano, Nebbiolo, Pinotage, Sangiovese, Tempranillo, Zinfandel/ Primitivo. Other red wines: Douro, Valpolicella. Learn about the various methods for making Sparkling, Sweet and Fortified Wine, the resulting wine styles and the regions producing them. Discover the key considerations when pairing food and wine successfully. The Exam is 1 hour long and consists of 50 questions multiple choice. You must take the exam in person at the Capital Wine School. This is a suitable for beginners and for those with some experience with wine. This qualification is popular with wine and spirit employees and will give students excellent all-around product knowledge. The course is also suitable for the interested consumer. This unit is evaluated by a multiple-choice paper of 50 questions and a question paper requiring short written answers. How to taste wines and evaluate the quality, style and price. Students will learn to write tasting notes by tasting and assessing 8-10 wines during each class. This unit is assessed by a blind tasting paper of two wines. The exam consists of a multiple-choice paper of 50 questions, a question paper requiring short written answers, and full written tasting notes on two wines. Those who pass the exam receive the WSET Level 3 Award in Wines, an internationally recognized credential in the wine industry. Capital Wine School does offer an occasional Intensive course for the WSET Level 3. Effective August 1, 2016, the Capital Wine School no longer offers a Home Study Course for WSET Level 3. Click here to download a PDF of the WSET Level 3 Award in Wines Specification. For more information about the WSET Level 3 Award in Wines, please visit https://www.wsetglobal.com/qualifications/wset-level-3-award-in-wines/. The WSET Level III course is based around a 9-week structured online program with a recommendation of 10 hours study per week to cover the online activities and read the relevant chapters in the textbook. There is also a 1 day tasting tutorial. The course follows a weekly structure, but it allows the student to work ahead or catch up on the activities and forums. There are no set times to log into the course as there are no live chats or webinars. The Capital Wine School will mail students the current WSET study materials for this course approximately 1 week before the course start date (reviewing the Level 2 Materials is recommended). The course prepares the student for Level III Exam and they are guided by a WSET educator. The student can contact the educator any time for the duration of the scheduled course, should they have any questions. Each week includes a series of independent and/or group activities that guide the student through the key wine regions of the world looking at the factors in the vineyard and winery that influence wine styles. Details for the 1-day tasting tutorial introducing the Level 3 tasting technique is outlined below with the registration details. Consider the key factors influencing the style, quality and price of wine from vineyard to bottling. Learn to taste and describe wines using the WSET Systematic Approach to Tasting. Includes a tasting day which is arranged by the APP. Learn about the key influences and how they produce the resulting wine styles in the key wine regions and districts of Europe. Learn about the key influences and how they produce the resulting wine styles in the key wine regions and districts of the New World. Learn about the key regional grape variety specialities of the new world. Learn about the methods of production and the main styles of sparkling wines from the key wine producing countries. Learn about the methods of production and the main styles of fortified wines from the key wine producing countries. Review & Examination Preparation. The exam takes 2 & ½ hours and consists of short answer questions, multiple choice, and blind tasting assessment. *The exam must be taken at the Capital Wine School. This class is more demanding than the WSET Level 2 Certification Course. This qualification is open to students who hold the WSET Level 2 Award in Wines & Spirits or can demonstrate the equivalent level of knowledge. The WSET Level 4 Diploma is the WSET’s flagship qualification, designed to prepare those in the trade for senior positions within the wines and spirits business. This qualification is also suitable for the dedicated wine enthusiast wishing to build on knowledge gained at Level 3 and acquire further expertise in wine tasting.